Japan KUTANI A stone monument bearing the inscription "Ko-Kutani kiln ruins" stands quietly in a clearing. It marks the spot where the Daishouji Clan(a branch of the Kaga Clan) established a kiln in about 1655,to make use of the local porcelain stone. Tha porcelain ware that was created there was later called "Ko-kutani" and became the foundation for Japanese colored porcelain ware. Rich overglaze colors applied with fluid brushwork -green,yellow,red,purple and blue- give Kutani porcelain its characteristic beauty. However,only half a century later the kiln was abandoned for reasons that nobody knows. About 100 years later,Kutani porcelain was revived under the patronage of the Kaga clan. The Kasugayama and Wakasugi kilns were established, and kilns such as the Yoshidaya kiln rode on the momentum of "revived Kutani",all producing overglaze porcelain ware. Various styles competed and combined to develop into the overglaze techniques that have been handed down to this day. 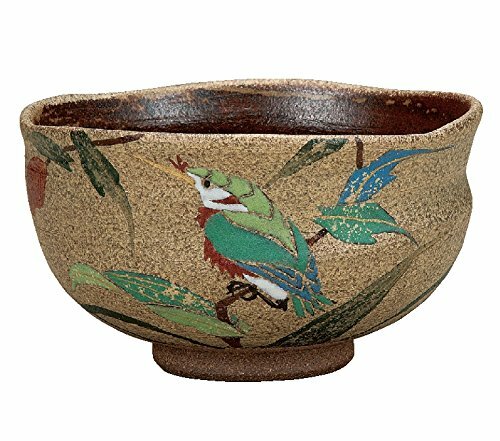 In modern times,the gorgeous Kinrande style(very high-quality design of gold) has become well known in the West as "Japan Kutani" Kutani porcelain, which combined the artistry of Ko-Kutani ware and the utilitarian beauty that developed from "revived Kutani",continues to evolve.